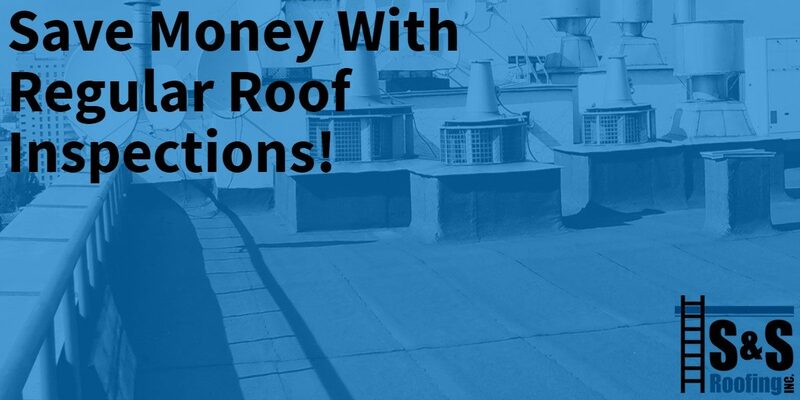 Save Money With Regular Roof Inspections! If there is unaddressed roof damage, not only can water from rain or melting snow get in, but mildew, algae, and mold can also seep into your building. While this might not seem like a huge issue, it can cause a number of problems that could cost you a great deal of time and money. Water, mildew, and mold can be extremely damaging to certain goods that you carry. Mildew and molds can also be allergens that negatively affect some of your employees or customers. Another perk to having your roof inspected annually is that an inspection can, in some cases, keep the materials warranty on your roof valid with the manufacturer. We offer the most reliable inspection services, as well as the newest, most state of the art technology – including infrared roof scans (which you can read more about here). At S & S Roofing, our combination of inspection and maintenance services will ensure that not only your roof in good shape right now, but that any future concerns will be addressed and repaired before they have a chance to become a major problem. When we come to inspect your roof we can also give you an estimate on any repair work that needs to be done. We can also provide you with quotes for any upgrades you might want us to perform.